Hi thanks for visiting my site. I am Nanny G from Nanny G's Garlic (also known as Georgina Byrnes). 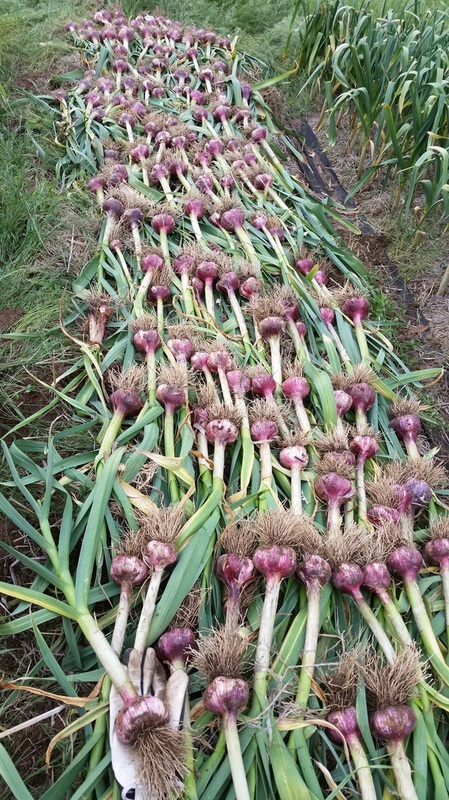 My husband Patrick and I started growing garlic in 2015 with just 10 kg of seed and this year we have planted 125 kg. Our garlic is grown using organic principles and totally chemical free. Our property of 153ha is situated in a valley in the mountain between Braidwood and Bungendore in New South Wales. Our climate is more temperate than both these towns, getting fewer and less-severe frosts. However, we are more than 900m above sea level and we do get snow some seasons. My garlic patch is relatively sheltered from westerly winds and it is surrounded by native tree covered mountains. Our cold climate intensifies the flavour of my garlic. It is truly a full flavour that will have your taste buds dancing. My focus started with Monaro Purple (Turban), Spanish Roja (Creole) and Dunganski (Standard Purple Stripe) but I'm always interested in trying something new.